Why it matters: It only seems intuitive that Wi-Fi would be faster than cellular as it’s usually based on a wired connection closer to you. 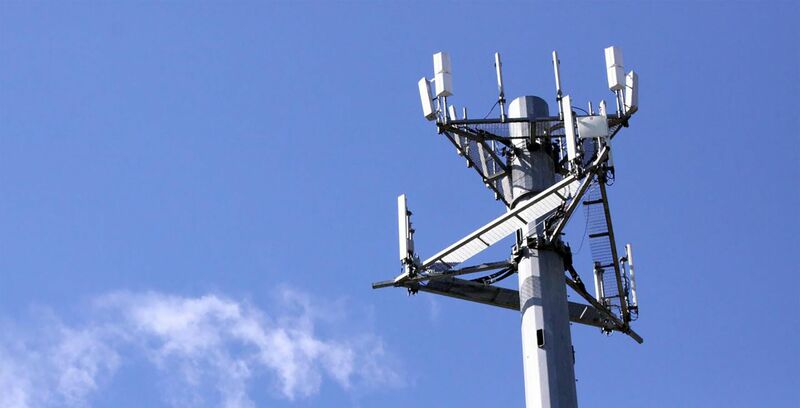 But a new study conducted by OpenSignal, a networking firm dedicated to wireless coverage mapping, has caused quite a stir. Some of the cited countries include France, whose cellular is said to be 2.5Mb faster than Wi-Fi, all the way to Australia, whose cellular is claimed to be 13Mb faster. According to OpenSignal, the majority of countries have average Wi-Fi speeds that are pretty much the same as cellular speeds, with Australia being the only large country to show a substantial difference. 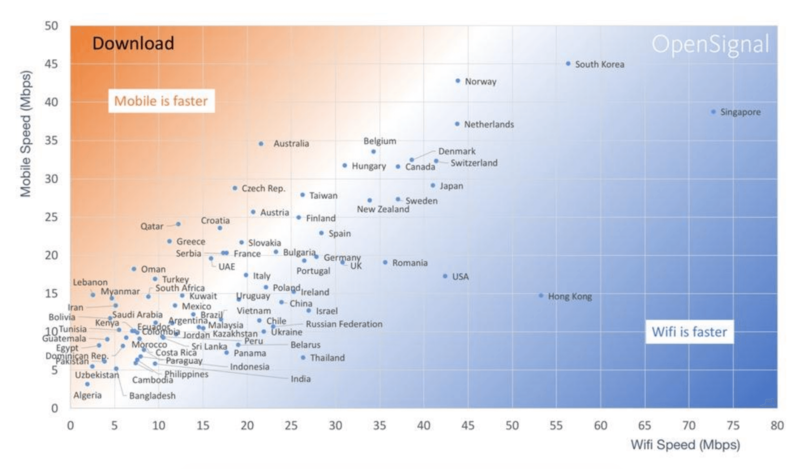 In America, however, Wi-Fi is still faster by 25Mbps on average, with Singapore, Hong Kong and South Korea following the same trend. The UK’s telecommunications regulatory body’s top tech expert, Mansoor Hanif, recently used the study as evidence to highlight just how bad the Wi-Fi industry is. Although Hanif mostly comes out like a disgruntled user's voice whose residential building's Wi-Fi probably doesn't work as it should, he shows his frustration with how slow Wi-Fi development is progressing. With 5G on the horizon, cellular networking speeds are bound to get faster and better. However the next generation of Wi-Fi called 802.11ax or Wi-Fi 6 is designed for cellular data offloading, so both technologies are not meant to act alone or exclusively apart from each other, but quite the opposite. Editor's note: While we have no reason to doubt OpenSignal's study comprised of billions of measurements on Android and iOS mobile devices, and the trend is clear that wireless is getting better (data caps aside), having visited over a dozen of those studied countries in the past 18 months, our informal observations are that generally speaking Wi-Fi remains a more desirable connection over wireless (for now). Also, while using 5G to power a home network is possible and is coming soon, it may not be an ideal solution for most either. To access 5G indoors, a large and power-hungry antenna needs to be attached to a building and connected directly to a Wi-Fi router. Another interesting observation brought up by the study is mobile device’s tendency to favor Wi-Fi. With the exception of some phone brands like Huawei, most cellular devices will automatically switch away from cellular networks without performing a speed test. This is certainly cheaper and better in some circumstances, but as wireless gains ground, that assumption will have to be revised accordingly.